At Desert Springs Hospital Medical Center we provide a comprehensive treatment approach to patients suffering from reflux disease and heartburn. 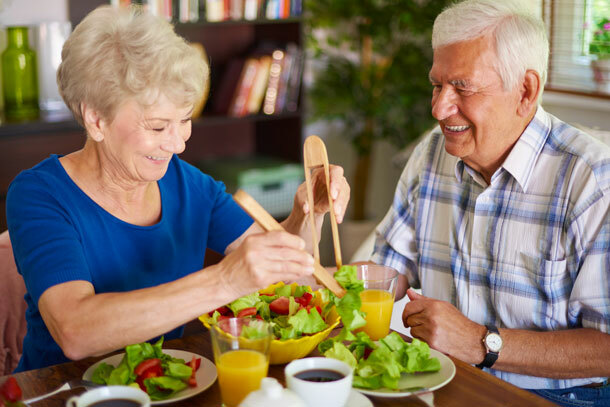 Our goal is to educate patients and healthcare professionals about reflux disease symptoms and long-term complications and align patients with proper medical treatment options including lifestyle modifications and surgical solutions. If you have persistent heartburn or acid reflux, the Reflux and Heartburn Center at Desert Springs Hospital Medical Center can help you reduce chronic heartburn and chest or throat discomfort. Treatment is available for a variety of disorders including chronic heartburn, Barrett's esophagus and gastroesophageal reflux disease (GERD) or acid reflux disease. GERD, or gastroesophageal reflux disease, affects millions of Americans and occurs when stomach acid or intestinal bile leaks from the stomach into the esophagus. This process is known as acid reflux and can cause heartburn and irritate the esophagus. Prolonged acid reflux can cause chronic inflammation of the esophagus and can lead to serious health problems including a condition known as Barrett's esophagus. In this condition, the lining of the esophagus changes to resemble the lining of the stomach. While there are no symptoms of Barrett's esophagus, the condition has been linked to cancer of the esophagus. The Reflux and Heart Burn Center can examine your esophagus for precancerous cells and offer early treatment options if necessary. GERD can affect anyone, including infants and children. If you have chronic heartburn or are experiencing any of the above symptoms, you may have GERD. Learn about treatment options below. Desert Springs Hospital Medical Center gastroenterologists use a variety of treatment options. Medication is the most common treatment, and diet and lifestyle changes may also be used. Often times, people can improve their symptoms by avoiding alcohol and spicy, greasy or fatty foods. Other tips to avoid heartburn include eating smaller meals, avoiding meals near bedtime and losing weight if necessary. Over-the-counter medications can also be used for relief. Manometry to measure muscle contractions in the esophagus and evaluate whether more invasive treatment is needed. Radio frequency ablation (RFA), which is an endoscopic procedure to treat Barrett's esophagus and reduce its progression. Reflux pH and impedance to detect acid reflux by measuring the amount of liquid or acid in the esophagus during normal activities. Endoscopic ultrasound helps assess digestive disease by using high-frequency sound waves that produce detailed images of the lining and walls of the digestive tract. Pillcam/capsule endoscopy, which is a minimally invasive procedure used to detect diseases of the small bowel including Crohn's disease. Spyglass provides direct visualization of bile-duct quadrants for diagnosis and treatment. Endoscopic retrograde cholangiopancreatography (ERCP), which is a procedure that combines upper gastrointestinal endoscopy and X-rays to treat conditions of the bile and pancreatic ducts. Transoral incisionless fundoplication (TIF), a non-surgical procedure that offers relief from acid reflux without surgical incisions (see below). The LINX® procedure is a revolutionary surgical solution to help millions of people suffering from acid reflux find symptoms relief. It is a small titanium device made up of permanent magnets that is implanted around the lower esophageal sphincter in a minimally invasive laparoscopic procedure. It does not alter the anatomy of the stomach which preserves its normal physiological function. It is intended for patients diagnosed with GERD who are surgically qualified candidates seeking an alternative therapy for symptom relief. Transoral Incisionless Fundoplication (TIF) is a procedure in which surgeons insert a device equipped with a small camera through the mouth and toward the stomach. General anesthesia is required, and most patients are able to return home the next day; they can usually return to work and most normal activities within a few days. During the procedure, surgeons manipulate the device to make and fasten several folds of tissue (plications) and create an anti-reflux valve at the connection of the stomach and esophagus. After two years, the majority of TIF patients are able to return to eating foods that they could not previously tolerate, and are able to stop taking medication. Can be revised if required. Dr. Shawn Tsuda is a board-certified general surgeon and Chief of Minimally Invasive and Bariatric Surgery at the UNLV School of Medicine. He is fellowship-trained in laparoscopic and robotic weight-loss surgery, anti-reflux surgery and hernia surgery. Dr. Tsuda specializes in minimally invasive robotic surgical techniques including sleeve gastrectomy, gastric bypass, anti-reflux surgery, ventral and inguinal hernia repairs and flexible endoscopy. He is dedicated to education and research and is the director of surgical skills and simulation for the university residency program. He is certified in the Fundamentals of Laparoscopic Surgery (FLS) and serves as an FLS course instructor. Dr. Tsuda was the first surgeon in Nevada certified in the LINX Reflux Management System for patients with severe GERD. Colon cancer is the third most common type of cancer in men and women in the United States, according to the CDC. However, it is often preventable and frequently treatable when detected early. Early colon cancer usually doesn't have any symptoms, which is why screening is very important. A screening colonoscopy is used to find growths in the lining of the colon called polyps. Removing polyps can help prevent colon cancer from ever starting and cancers found in an early stage are more easily treated. The American Cancer Society recently made a recommendation that colonoscopy screening should begin at age 45. Individuals with an increased or high risk of colon cancer might need screening earlier or to be screened more often. Talk to your doctor about your health history and risk. If you need a referral to a gastroenterologist or other physician at Desert Springs Hospital Medical Center, call our free physician referral service at 702-388-4888.